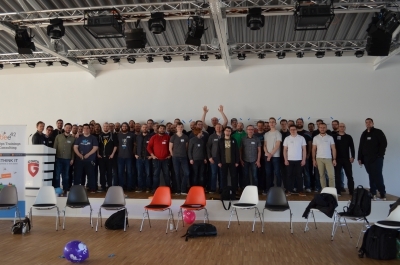 In the previous blog post we took you with us to the workshop day and conference day of the DevOps Gathering last week. 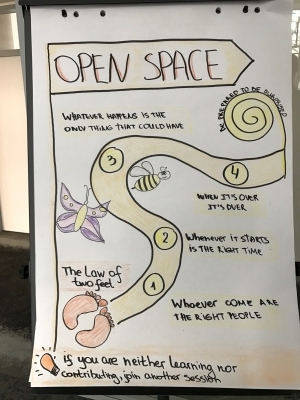 Open Space - What is that? 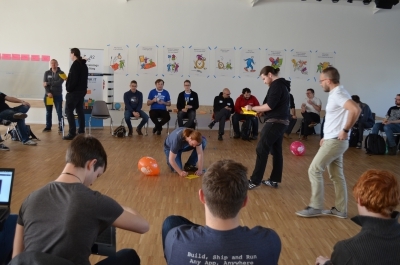 An Open Space is a simple and productive way for hosting knowledge events. 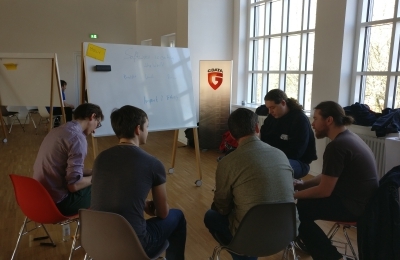 Participants and experts create and manage together their own agenda of parallel working sessions. The goal of this Open Space is to allow attendees to interact with one another and learn from each other – all under the guidance of an experienced moderator. In a time as short as one day, all of the most important ideas, discussion, recommendations, conclusions, questions for further study, and plans for immediate action will be documented in each session. 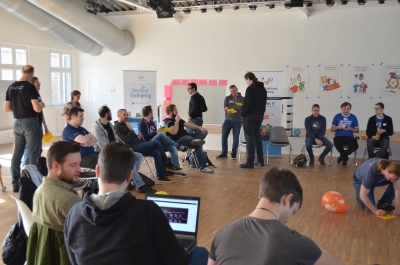 At the end, all results of each session will available and briefly discussed with all participants of the day. AND… results like these can be planned and implemented faster than any other kind of so-called “large-group intervention.” It is literally possible to accomplish in one day what some other approaches take weeks or months to do. Come up with an interesting topic and title for your discussion. 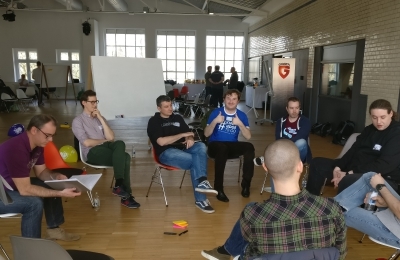 You don’t need to develop these before the conference; most of the ideas will come to you during the event, but be prepared this is also an option. If a significant number of people want to attend your discussion and another discussion in the same time slot, try to trade into another time slot to ensure maximum dialogue and participation. Check the schedule and sign up for a talk or just drop in if you wish. Use the ‘Law of two feet.’ If you feel that you are not contributing or benefiting from a presentation, please feel free to move on to something else. Allow the discussion convener to steer his or her topic. If you have an opposing opinion that needs a full time slot you should feel free to add your own OpenSpace slot to discuss the topic. 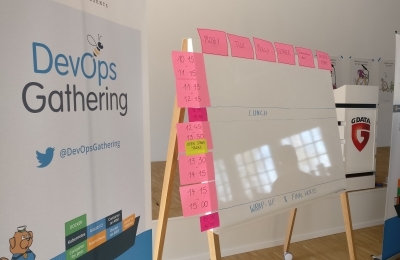 The DevOps Gathering Open Space format was a perfect fit to the fast moving development of the container ecosystem. 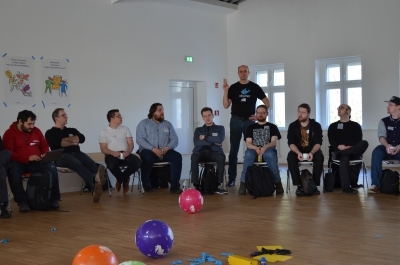 It offered participants and experts the opportunity to launch discussions, address questions and challenges regarding Docker, Kubernetes and Cloud technologies. 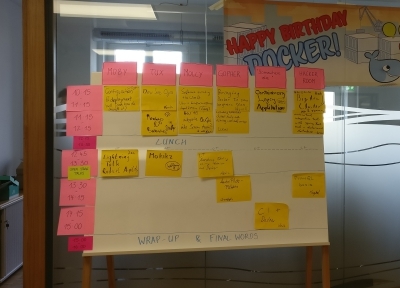 The topic of our Open Space was: What technical challenges emerge with Docker and Kubernetes? Among others, we addressed the following questions: * Do we know and proper use the benefits of existing solutions? 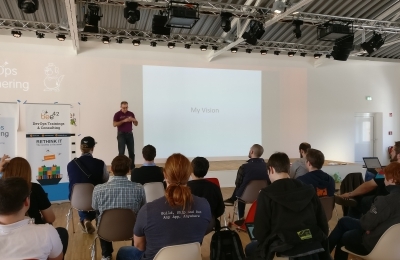 * What experience do we already have with Docker or Kubernetes in production? 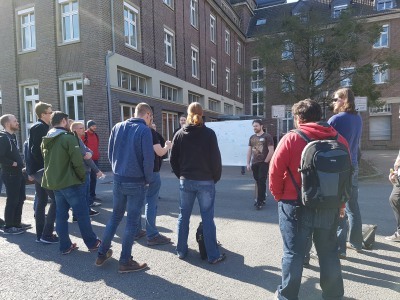 How to integrate DevOps into Scrum team? After some hours we had setup the basic ARM containers (https://github.com/bee42/docker-on-rpi-lab), flashed and connected all machines at the network. Cool, but we can’t find a simple solution to connect the Docker swarming network with the Kubernetes flannel one. We need more hacktime to fix that :-) We’ve learned a lot of mixing container ARM cluster setups and migrate them. 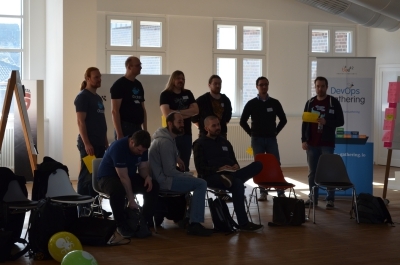 In addition to the Open Space we gave the participants the chance for lightning talks. 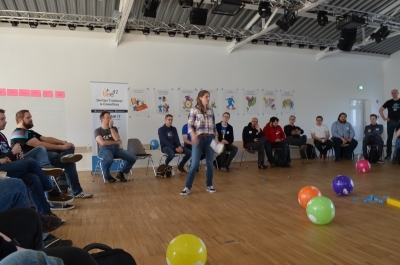 At every event a lot of attendees have idea for some other talks or topics they like to introduce to the other participants. So we gave them the chance to bring their most interested topic to the audience. 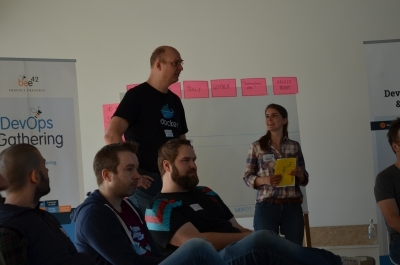 The participants had 10 minutes to talk about their tool, project or experience with container and DevOps.